Is the visual serving the question? The following chart concerns California's bullet train project. It is impossible to know how fast the four other train systems run after I removed the numbers. The only way a reader can comprehend this chart is to read the data inside the bubbles. This chart fails the "self-sufficiency test". The self-sufficiency test asks how much work the visual elements on the chart are doing to communicate the data; in this case, the bubbles do nothing at all. Another problem: this chart buries its lede. The message is in the caption: how California's bullet train rates against other fast train systems. California's train speed of 220 mph is only mentioned in the text but not found in the visual. In a Trifecta checkup, we improved this chart by bringing the visual in sync with the central question of the chart. The Thai cave rescue was a great story with a happy ending. It's also one that lends itself to visualization. A good visualization can explain the rescue operation more efficiently than mere words. Why the operation was so daunting? What were the tactics used to overcome those challenges? What were the specific local challenges that must be overcome? How far in they were? How deep were they trapped? How much of the caves were flooded? Why couldn't they come out by themselves? How much headroom was there in different sections of the cave "tunnel"? There were many attempts at visualizing the Thai cave rescue operation. The best ones I saw were: BBC (here, here), The New York Times (here), South China Morning Post (here) and Straits Times (here). It turns out each of these efforts focuses on some of the aspects above, and you have to look at all of them to get the full picture. BBC's coverage began with a top-down view of the route of the rescue, which seems to be the most popular view adopted by news organizations. This is easily understood because of the standard map aesthetic. The BBC map is missing a smaller map of Thailand to place this in a geographical context. While this map provides basic information, it doesn't address many of the elements that make the Thai cave rescue story compelling. In particular, human beings are missing from this visualization. The focus is on the actions ("diving", "standing"). This perspective also does not address the water level, the key underlying environmental factor. The excerpt of the infographic presents a nice collection of data that show the effort of the rescue. The sideway cross-sectional section shows the distance and the up-and-down nature of the journey, the level of flooding along the route, plus a bit about the headroom available at different points. Most of these diagrams bring out the "horizontal" distance but somehow ignore the "vertical" distance. One possibility is that the real trajectory is curvy - but if we can straighten out the horizontal, we should be able to straighten out the vertical too. The NYT article gives a more detailed view of the same perspective, with annotations that describe key moments along the rescue route. If, like me, you like to place humans into this picture, then you have to go back to the Straits Times, where they have an expanded version of the sideway cross-section. This is probably my most favorite single visualization of the rescue operation. There are better cartoons of the specific diving actions, though. For example, the BBC has this visual that shows the particularly narrow part of the route, corresponding to the circular inset in the Straits Times version above. There is one perspective that curiously has been underserved in all of the visualizations - this is the first-person perspective. Imagine the rescuer (or the kids) navigating the rescue route. It's a cross-section from the front, not from the side. I picked out this part of the map because it shows that the little human figure serves two potentially conflicting purposes. In the bottom diagram, the figurine shows that there is limited headroom in this part of the cave, plus the actual position of the figurine on the ledge conveys information about where the kids were. However, on the top cross-section, the location of the figure conveys no information; the only purpose of the human figure is to show how tall the cave is at that site. This little clip adds a lot to the story! It'd be even better if the horizontal timeline at the bottom is replaced by the top-down route map. Thank you all the various dataviz teams for these great efforts. In the Trifecta Checkup (link), I like to see the Question and the Visual work well together. Sometimes, you have a nice message but you just pick the wrong Visual. An example is the following stacked column chart, used in an investor presentation by Delta. From what I can tell, the five types of aircraft are divided into RJ (regional jet) and others (perhaps, larger jets). With each of those types, there are two or three subtypes. The primary message here is the reduction in the RJ fleet and the expansion of Small/Medium/Large. One problem with a stacked column chart with five types is that it takes too much effort to understand the trends of the middle types. The two types on the edges are not immune to confusion either. As shown below, both the dark blue (Large) type and the dark red (50-seat RJ) type are associated with downward sloping lines except that the former type is growing rapidly while the latter is vanishing from the mix! In this case, the slopegraph (Bumps-type chart) can overcome some of the limitations. This example was used in my new dataviz workshop, launched in St. Louis yesterday. Thank you to the participants for making it a lively session! It's not often I come across a piece of data journalism that pleases me so much. Here it is, the "Happy 700" article by Washington Post is amazing. The topic is timely but timeliness heightens both the demand and supply of articles, which means only the unique and relevant pieces get the readers' attention. The tone is light-hearted. It's a fun read. A little bit informative - when they describe the towns that few have heard of. The notion is slightly silly but the reader won't care. It's always a challenge to make data come alive, and these authors succeeded. Most of the data work involves finding, collecting and processing the data. There isn't any sophisticated analysis. But a powerful demonstration that complex analysis is not always necessary. The structure of the data is three criteria (elevation, population, and terrain) by cities. A typical way of showing such data might be an annotated table, or a Bumps-type chart, grouped columns, and so on. All these formats try to stuff the entire dataset onto one chart. The designers chose to highlight one variable at a time, cumulatively, on three separate maps. This presentation fits perfectly with the flow of the writing. The color scheme across all three maps shows a keen awareness of background/foreground concerns. Scrolling down the page simulates the train ride from origin to destination. Pictures of key regions are shown on the left column, as well as some statistics and other related information. 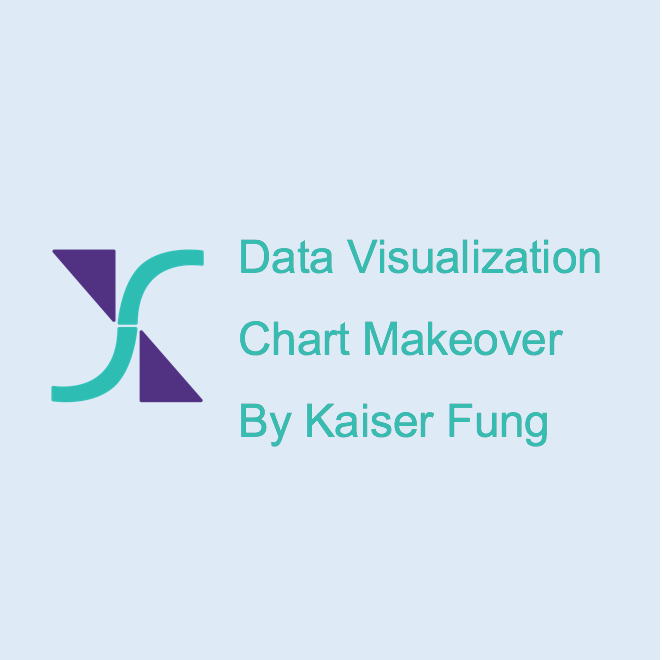 The interactivity has a clear purpose: facilitating cross-reference between two chart forms. I also like the way New York Times handled interactivity to this chart showing the rise in global surface temperature since the 1900s. The accompanying article is here. When the graph is loaded, the dots get printed from left to right. That's an attention grabber. Further, when the dots settle, some years sink into the background, leaving the orange dots that show the years without the El Nino effect. The reader can use the toggle under the chart title to view all of the years. This configuration is unusual. It's more common to show all the data, and allow readers to toggle between subsets of the data. By inverting this convention, it's likely few readers need to hit that toggle. The key message of the story concerns the years without El Nino, and that's where the graphic stands. This is interactivity that succeeds by not getting in the way.